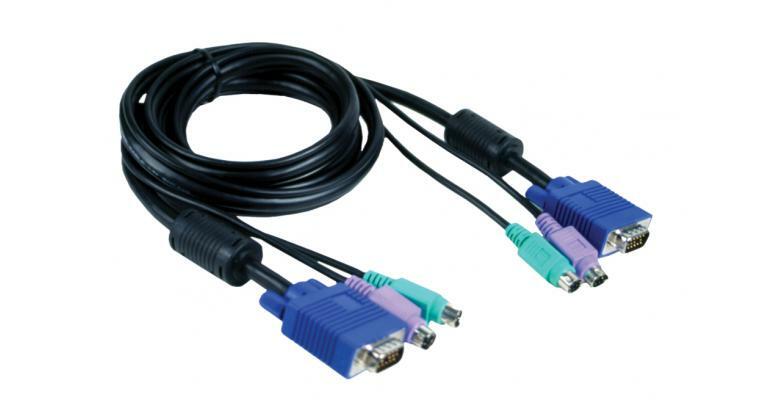 The DKVM-CB is an all-in-one cable that minimizes desktop clutter by combining each cable into one convenient package. Each cable end is color coded (PC99) to ensure proper installation. Also, each cable is specially shielded with a ferrite core to reduce electromagnetic (EMI) and radio frequency interference (RFI).